Whilst luxury hotels are all of an exceptionally high quality, each brand has their own twist on the concept. It’s this twist that can really enhance your travel experience, setting it apart from others. 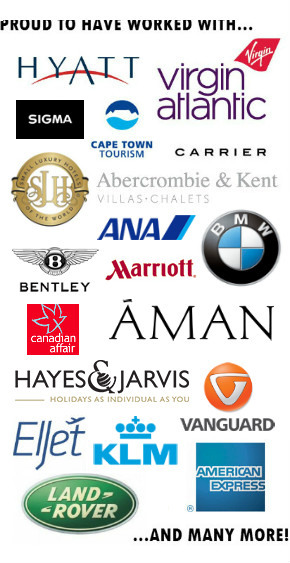 To help you choose your luxury brand, I’ve provided a quick summary of five of the most well-known hotel groups. ‘Aman’ means ‘peace, security and shelter’ in the Sanskrit languages of Hindi, Arabic and Persian. This concept pervades all of the group’s properties making for a tasteful and relaxing place to stay whilst on holiday. Founded by Adrian Zecha and Anil Thandani, the pair built their first property in Thailand, risking their own money to ensure the hotel had a boutique feel – banks would only invest in resorts that featured 500 rooms or more which was not what the partners wanted. The Aman concept has subsequently moved from success to success and now there are 31 properties across 20 countries. A typical Aman hotel will have less than 50 rooms and the staff to guest ratio is exceptional, usually four staff to each guest. Buildings will always be designed in keeping with the location and culture of a country so that it blends well with the surrounding landscape. Accommodation is incredibly spacious and private. The grounds of the resort tend to be quite extensive so resorts can feel quite empty even when full. Whilst this won’t be for everyone, it’s fantastic for travellers wanting true escapism. The service is naturally top notch and employees are trained to an incredibly high standard. For example, you won’t have to sign any bills during your stay; staff will know who you are and they’ll always go above and beyond your expectations. I was once staying in Amanpuri for example and had left some clothes out to dry when unfortunately it started to rain. Staff took the initiative, washed and dried my clothes, delivering them back to me by early afternoon (no charge!) There are gifts delivered to your room every night as well as fresh flowers for each day of your stay. All in all, Aman is the perfect brand for travellers wanting top notch service, beautifully designed properties and the utmost privacy and space. Larger and livelier than Amans, Four Seasons resorts are for those looking for sociability and more of a classic high end ‘hotel’ experience. As a brand, Four Seasons have really perfected the art of accommodation. They have a particular way of arranging rooms so that everything is in the ‘right’ place. You won’t have to forage for air conditioning buttons and light switches, safes etc as all will be easily findable. You’ll feel at home incredibly quickly and the brand’s signature beds, found in all of their hotels, are incredible. Staff are trained to a very high standard, they always try to get to know you and offer advice depending on your interests. Four Seasons are also home to popular restaurants and bars with a great atmosphere. In Hong Kong, for example, there is a 3* Michelin restaurant in the Four Seasons Hotel and there’s a very trendy Sundara Beach Club at Four Seasons Jimbaran. The brand is fantastic for families; they have a range of services to cater for kids. From fun and inventive kids’ clubs to good childminding services, it’s a great place to stay if you want to balance a child-friendly environment with a property that won’t feel overrun by youngsters. In summary, Four Seasons is a fantastic option for travellers wanting an incredibly luxurious place to stay with communal areas with a fun buzz and good family-friendly services. GHM is a cross between Aman and Four Seasons, providing space and privacy whilst offering communal areas with a more energetic atmosphere. There’s a signature design to all properties with Asian style structures, dark woods, crisp white linens and a sense of symmetry throughout. The furnishings are beautiful and arranged alongside the latest gadgets like music docks, Nespresso machines and phone charging USB ports. The infinity pools at GHM hotels are breathtaking and the gyms have really high-tech facilities. GHM are child-friendly although they perhaps suit families with older kids as the atmosphere is more refined. There is always a top notch restaurant on site with delicious food. There will usually be an Indian, Thai, Vietnamese and Balinese chef so that they can serve a range of Asian food. With a unique and beautiful style with a rustic twist, Six Senses is luxury with an emphasis on nature and sustainability. Rooms are often built out of wood in harmony with their natural surroundings. There are even some bars or rooms built around caves. Service is top notch and the concept of wellness is at the centre of your experience. The spa is usually of an exceptional quality and often hotels will have their own range of ‘natural products’ applied during your treatments. Restaurants use organic ingredients grown on an onsite farm and the views from rooms will be spectacular. Six Senses are usually less formal than other luxury brands so you won’t feel the pressure to dress up. All in all, it makes for a very laidback, authentic and indulgent experience. Belmond sets itself apart with the properties it owns and manages. Hotels will have some amazing history behind them complete with unique stories about previous occupants. They’ll be lovingly restored and extended but still in keeping with the past. The service is classy and high end, you’re likely to be addressed as ‘Sir’ or ‘Madam’ across your stay and staff will know all the little touches to make your visit special and unique. It’s very much an experience of understated luxury, perfect for those who don’t want flashy decadence. There is a strong focus on delicious food and drinks. Restaurants will have fine dining experiences in the evening open to outside guests which creates quite an atmosphere. All in all this brand will appeal to culture enthusiasts who want to get under the surface of a destination with top quality rooms and service.